It’s time to get real about your writing career. If you’re serious about writing, sooner or later you’re going to be looking for a literary agent to represent you. Finding an agent is a huge accomplishment in itself, but it’s really quite necessary in most circumstances. So, what does an agent do, and how do you go about finding one? “The Complete Guide to Hiring a Literary Agent,” by screenwriter Laura Cross, answers these and other questions in a simple, but comprehensive, way. To appreciate just how much information is in this book, you really need to check out the table of contents. Did you do that? Are you amazed? Great. Now for your chance to win a copy of your very own. Here’s the thing: this book is so useful, I really want the free copy to go to someone who’s going to use this new-found knowledge to take their writing potential to the next level. I’ll read through all the comments, choose the most inspiring and helpful answer, and announce the winner on Friday. Laura Cross is the creator of two great sites, About A Screenplay and Non-Fiction Ink. You can download a free chapter, view the book trailer, read the full table of contents, and purchase the eBook at GetALiteraryAgent.com. 1. The main reason I want my writing published is because I think people can relate to my stories in a way that causes them to view themselves or others in a new, more positive, light. I’d like people to understand that just because they don’t have the power to change the world, they always have the power to change themselves, and even small changes can have a big impact. This is why most of my fiction focuses on familial relationships. 2. The best advice I’ve received so far is to trust my gut. And that applies to pretty much every part of the writing and publishing processes. Thanks for sharing the reminder to trust our guts. I think this is really applicable to the actual writing process. One of the biggest hurdles I find in plotting is to make sure conflicts and their solutions ring true. Have you ever put your characters in a situation, and your gut just tells you it isn’t quite the best or most believable? Perfect example of when you need to trust yourself (and probably revise). 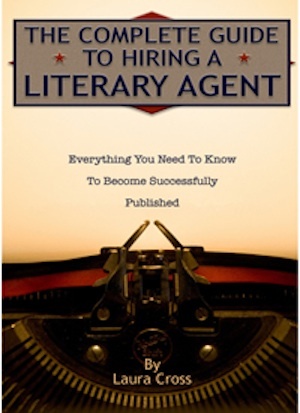 .-= Read suzannah´s last article ..Winner of “The Complete Guide to Hiring A Literary Agent” eBook =-. thank you for this information, it might come in handy for me when i am ready for my 2nd book. 1. There are very few things in the world that give me more joy than finishing a book that is entertaining, well-written, and pulls at the emotional heart strings. On a good day I am hopeful that my book will bring a satisfaction and feeling of warmth to readers. That is why I want my book published, because one more book in the world that will make someone’s day a little brighter has to be a good thing. 2. I’m not even sure where I heard this first, but I’ve adapted it as my own personal manta. Write everyday. Simple advice is always the best. Writing every day is a really good piece of advice. I try to write something every day, although it might not be my novel. Could also be a post for my blog, a guest post for someone else, a freelance article. I also try to work on my fiction during the very early morning (5:00-7:30 am) when the house of still quiet. 1. Writing for me is about the characters. The lives I create are as real to me as the people I talk with everyday. I want my characters to see the light of day, to have the opportunity to make readers fall in love with them (hopefully) like I have fallen in love with them. 2. I heard from several sources that before starting revisions, you need distance. I think this is such an important piece of the writing process, however hard it is to actually follow through on. Yes, distance! Definitely take some serious time away from any piece before revising. I can never believe how many mistakes/inconsistencies/poor examples of writing I find once I’ve had some breathing room. 1. Writing is my way of communicating to the world. I have this dire urge to make one person feel the same way I feel when I read a book. I want to inspire that read-late-past-you-bedtime urgency; send someone off into a magical world of my own creation; bring them to that happy, euphoric state and know, oh gosh, that was me, I did that, I made another person escape for that one moment. 2. Writing is a job. You’ve got to sit your a** on that chair and work it. At the same time you have to love it, you have to embrace it, you need to be open-minded to all the advice there is while also knowing where to draw the line, when to take your own advice and write a piece that’s all your own. .-= Read Susana Mai´s last article ..Is There A Point to Writing Anymore? Does It Advance the Human Race? =-. Writing IS a job, but it also has to be your passion, like you say. Keeping ‘bum in chair’ is a major hurdle! I write (besides loving it for myself) . First, my children. I didn’t write for a long time after I moved away from home–life happened, work marriage, kids, and lots of stuff. Still, if anyone asked I always said my dream was to write everyday and be published. I thought about is so much yet never found time to actually do it, until my second child was born and I realized I was such a fake, a hypocrite! How could I tell my own children one day to go after there dreams and believe they could be anything if I wasn’t doing it myself. A dream is only that, anyone can dream. I needed to show them by example that working hard and doing anything to achieve a dream is the true dream. So I shoe them by example everyday. Mommy writes and is doing all she can to make her dream come true. The best advice I’d ever gotten is to make a little story board. I cut out pictures of people in magazines that remind me of my characters, objects and words that inspire me and write a deadline that I want the first draft and so on completed. place it in front of my desk. It gives me direction and the visual kick I need sometimes to keep the story alive in my head. I know, it’s so hard when you have a dream and a passion for writing, but there are practical reasons you can’t quite get there. Best of luck with getting back on track! I want writing published because I bring something different to the party. The very best advice I’ve received on how to get there is to read authors’ acknowledgements to help in selecting appropriate agents to query. I want to write powerful, thought provoking stories more than I want to breath. I want to bring joy, sadness, heartbreak, and love into someones hands. I want someone to read something I wrote and think “wow…that was a wonderful story”. I want people to be moved. I want to be appreciated for WHAT I write, not just because I write. I want to make a difference in the lives of those who love to read. I want to be me. The me that knows what she wants to be when she grows up. Justine Dell, the author. I fogot the best advice I ever received…sorry. “Read what you want to write.” Hence…read and understand your genre. .-= Read Justine´s last article ..My YA project & RWA =-. I love to write. I am not the best verbal communicator – far from it – but when I write, I feel organized and in control. I love having story ideas swimming around in my head, and I love the challenge of finding the right words to share those ideas with others. I write for children. Books helped me so much while growing up. It feels right to try to give back. My writing means a lot to me. Getting published says that maybe my writing can mean something to others, too. The best advice I’ve received on how to get published is to read, write, and learn. Like just about anything, you can only get better at your activity with practice — so you need to write. Reading published books will help you learn what kinds of stories get published. You can be a good writer, but not all good writing will be published at all times. You need to learn about the business, too, if you want to be a part of it. Thanks to all who’ve left comments so far! 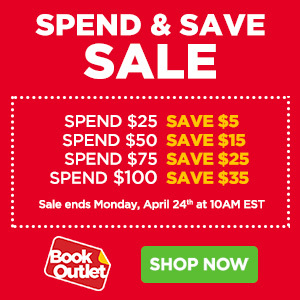 If you’re just popping by, you still have time to enter for your chance to win. 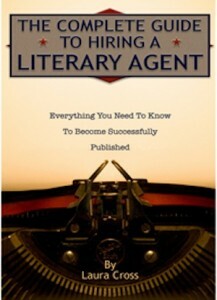 .-= Read suzannah´s last article ..Win a Copy of “The Complete Guide to Hiring a Literary Agent” =-. -Master storytelling by writing short pieces. -Keep sending them out, especially after rejection. -Hang out with published writers. This actually works. I’m a published short story writer, and I got that way by modelling a mentor who is successful. And succeeding with short fiction has made it easier to imagine the next level (selling the novels.) At least I hope so! I write to make other laugh or cry or feeling something different and transport themselves to someplace else after a rough day at work or a lazy day at the park. .-= Read Southpaw´s last article ..Bleeding Heart for Valentine’s Day =-. Thanks everyone. Contest is now closed.